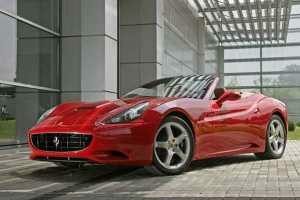 Renting a Ferrari in Marbella could not be easier. At Blue Sky Super Cars we make sure the only thing that you need to concentrate on is the sheer pleasure of driving one of these mind-blowing Super Cars. Our personalised service is second to none and our cars are immaculate. We can deliver the car and retrieve it from the location of your choice. From the superb front engined Ferrari 599 to the mid-engined 430 Monza or the stunning convertible 430 Spyder we have a complete range of Ferraris available for hire. A Ferrari is quite simply a beautiful motor car, but not only is it stunning to look at, it is fabulous to drive with an engine bred from Formula 1. Founded by Enzo Ferrari in 1929 as Scudiera Ferrari in Modena the name is synonymous with the ultimate sports cars and, typical of all great motoring legends, started as a manufacturer of race cars. It is this passion and racing knowledge that has been built into every single production Ferrari since the company started producing sports road cars in 1947. 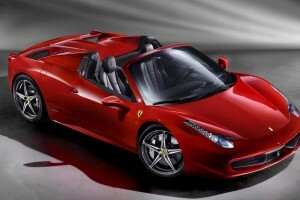 Ferraris are outstanding in all colours but the traditional colour is red. 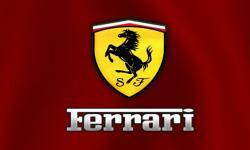 The logo of Ferrari is the Prancing Horse or ‘Cavallino Rampante’. The Costa del Sol is the ideal stomping ground for a Ferrari. Gracefully cruising through Puerto Banus, opening it up on the motorway to Malaga or a trip up to the Askari race track on one the world’s most outstanding mountain roads, the Ronda Road, the Ferrari is in its element. In fact the Costa de Sol has its very own club, The Ferrari owners club of Andalucia where like minded enthusiasts meet every week. 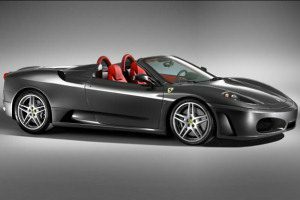 A Ferrari is everyone’s dream and at Blue Sky Luxury Car Hire in Marbella our Ferrari Rental packages can make this dream come true.